As some of you who read this blog regularly already know, I am a huge proponent of fat grafting and the therapeutic applications of adipose stem cells. Ever since 2009 I have been writing about the regenerative properties of fat grafts and stem cells. After joining IFATS , the International Federation for Adipose Therapeutics and Science, an organization devoted to the study of adipose tissue, I have become increasingly more involved. In 2013 I was awarded a Maryland Stem Cell Grant to study the use of adipose stem cells to heal breast tissue damaged by radiation. Last year I was elected President of IFATS, and tomorrow I will be presiding over the 14th annual conference in San Diego. I am extremely excited about all that we have planned. Over 160 abstracts will be presented and they are all fabulous! Here is a bit of an overview about what is planned for the 2016 IFATS meeting. We’ll be kicking off this year’s IFATS meeting with an exciting morning dedicated to ‘Fat Graft Process Engineering’. Later we will focus on the therapeutic applications of adipose stem cells. We’re bringing together not only the leading clinical practitioners, but also leading endocrinologists, experts in the field of genomics and big data as applied to medicine, and stem cell researchers from other specialties such as cardiology and orthopedics. 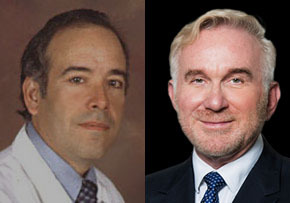 Keynote speakers include Sydney Coleman, MD, who will be speaking about The Process of Fat Grafting and Carlos M. Isales, MD, who will be speaking about Bone, Fat and Aging: Therapeutic options. We will also be welcoming speakers who will be focused on big data and machine learning in Medicine. This includes a keynote by Google’s Director of Software Engineering, Philip Nelson, who will present applications of Machine Learning in Medicine. Don’t miss this rare opportunity to get “The Big Picture” about fat grafting, from the bench to clinical uses and beyond to the possibilities of applying “Big Data” techniques to our growing knowledge. The IFATS program will involve the presentation of over 160 abstracts on a wide range of fat grafting and adipose stem cell topics affecting researchers, clinicians, the biotech industry, and patients. You can find the entire program here on the IFATS website. 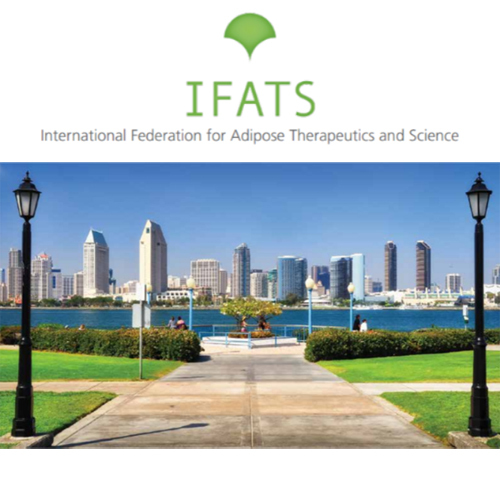 Founded in 2003, IFATS is a non-profit scientific society that promotes the exchange of information among researches and is currently the world’s only interdisciplinary fat tissue society. Committed to serving as the premier global incubator in the field of fat applied technology, current scientific areas of interest relate to facilitating the development of treatments for excess body fat, the generation of new fat tissue for reconstruction after cancer or birth-related defects and the use of adipose tissue as a source of mesenchymal stem cells that have the potential to regenerate and repair different body tissues. Learn more at IFATS.org. We are involved at several levels.To do things within the legal framework is expensive and time consuming. The first is drafting of standards for adipose tissue processing facilities. This is so there is a control over providers to protect the consumer against unscrupulous snake oil salespeople and ensure product quality. The second is using the new expedited pathways set up by the FDA. This includes creation of a National Stem Cell Registry to keep track of results of therapy. It also includes creation of protocols designed for multi center trials to get the therapies out to as many centers as possible. As for promoting the research, the society has an annual meeting for presentation of research results. It does not have money to fund research. What 21st Century Cures Act or other fast track Clinical Trials (Phase & 4) are being done or in the works for adipose Stem Cell treatment. Paracrine effect is obviously the process that effects regeneration of organ tissue. 70 million Americans suffer from arthritis so this should be primary target of research There is no dearth of phase 1 & 2 clinical trials proving safety and efficacy so what is holding up large trials that would provide dosage and delivery guidelines. Is your organization promoting this research, if so, how? Yvonne, I am sorry we have not gotten back to you. I do not use this blog for patient contacts. The person to get in contact with is Leeza, at leeza@cosmeticsurg.net and I have given her your address. I’d like to know whether you do fat tranfer for the breast and what is the cost. And a bbl and cost. If someone comes where do they stay to do the surgery and after the surgery.